Create the mobile apps you imagine. Skuid named a strong performer in mobile low-code report. 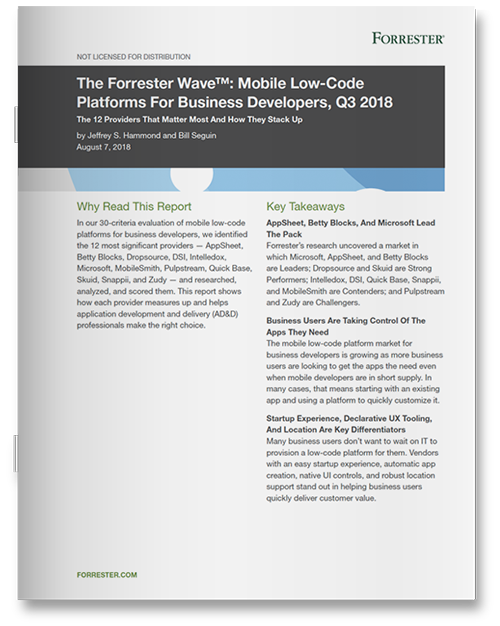 Skuid is named a strong performer in The Forrester Wave™: Mobile Low-Code Platforms For Business Developers, Q3 2018. The report comes just ahead of Skuid’s Fall release, which includes a host of new native mobile capabilities businesses can use to take their mobile app experiences to the next level.